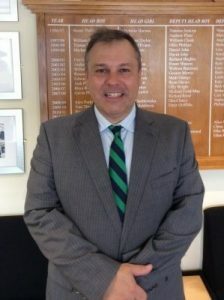 As the first Headteacher of Ysgol Penrhyn Dewi Church in Wales VA School, I am delighted to introduce our new school. 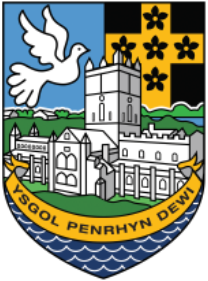 Penrhyn Dewi is a 3 – 16 through school located on three campuses serving the community of the St David’s peninsula. Penrhyn Dewi will be the first Church in Wales secondary phase school to open since the 1920’s and will be the Church’s first 3 to 16 school. We are so fortunate to occupy such amazing locations in St David’s and Solva and the opportunities our school will offer young people and their families will be boundless. Our 3 – 16 through-school status will offer us exciting and innovative learning opportunities where primary aged children will have the opportunity to learn from specialist secondary colleagues, and secondary students will have the opportunity to work alongside and support primary pupils. We are keen to exploit these opportunities wherever we can and create a seamless transition between Key Stages 2 & 3. We have the highest aspirations for our school and our pupils and are in the process of creating a positive, stimulating environment where everyone will be supported, empowered and challenged to achieve their potential. We will be fully inclusive and work as a beacon for our community, working together for the good of all.